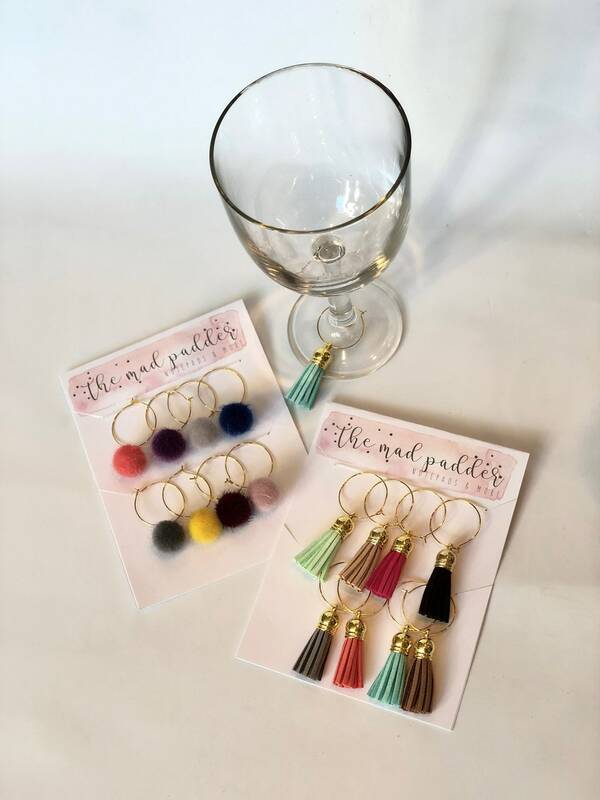 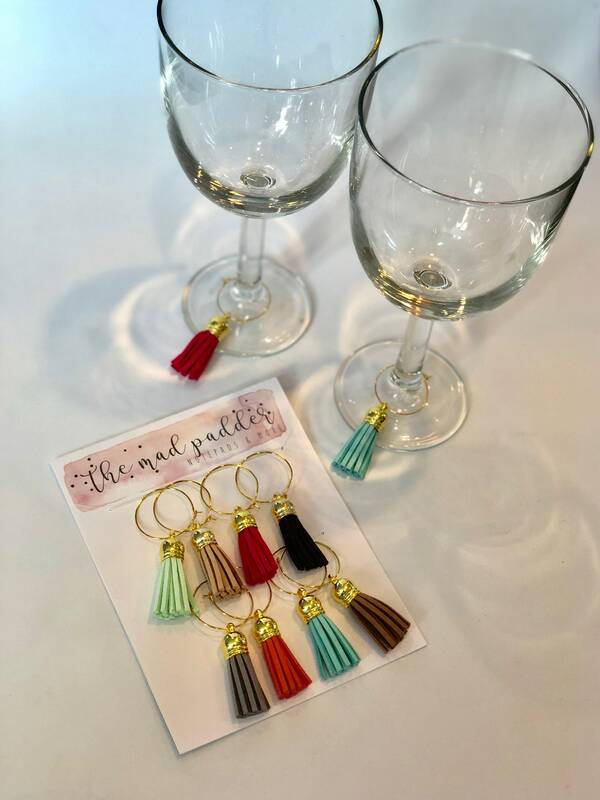 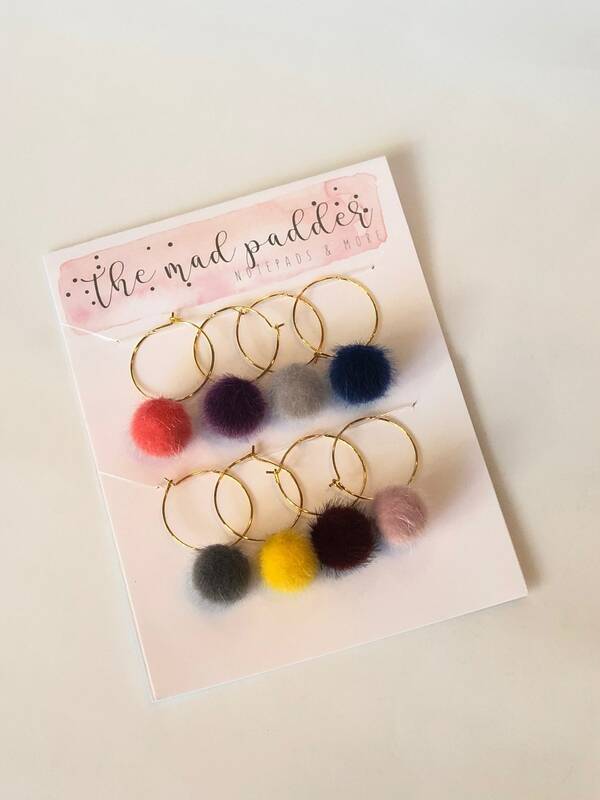 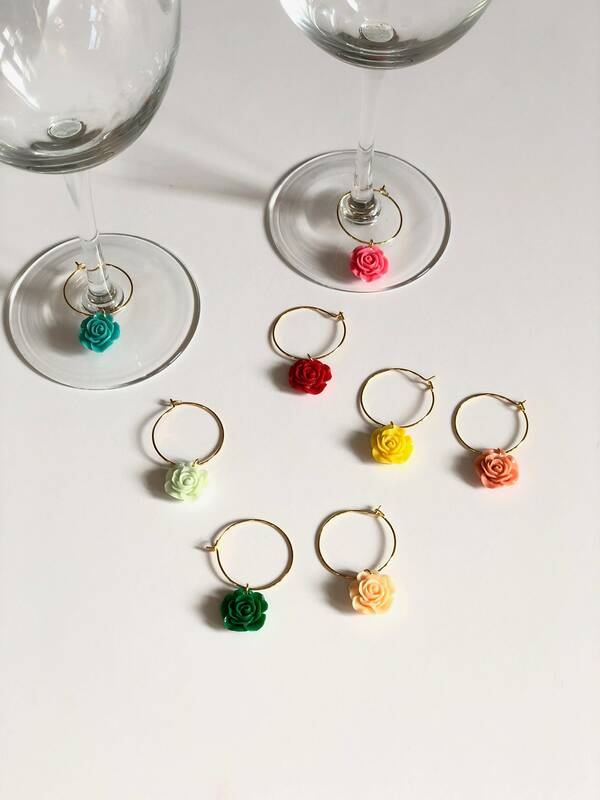 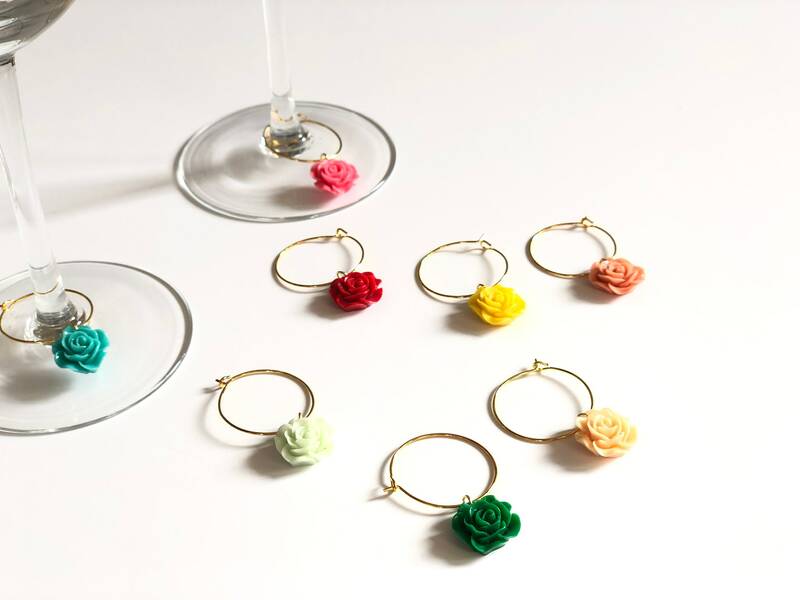 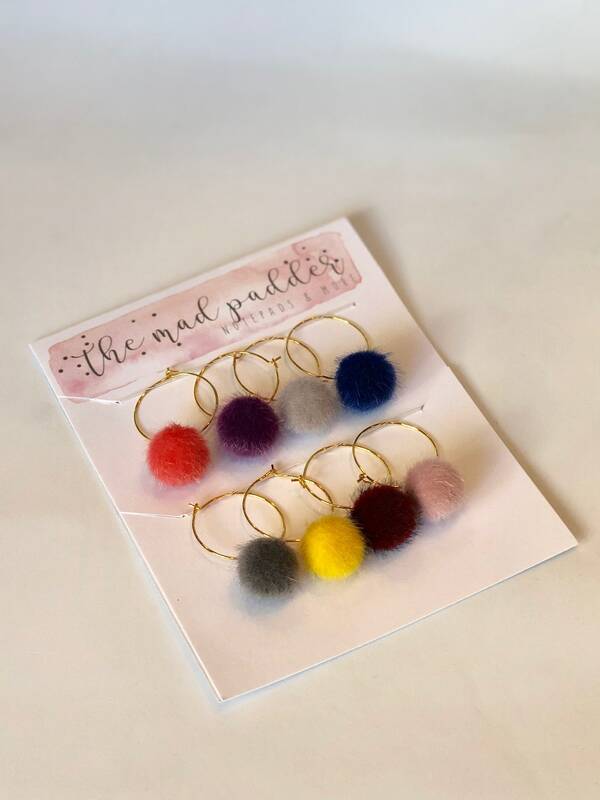 Add some charm to your wine glasses at your next party with a set of eight, different colored faux leather tassels or pom pom balls with gold-plated charm rings. 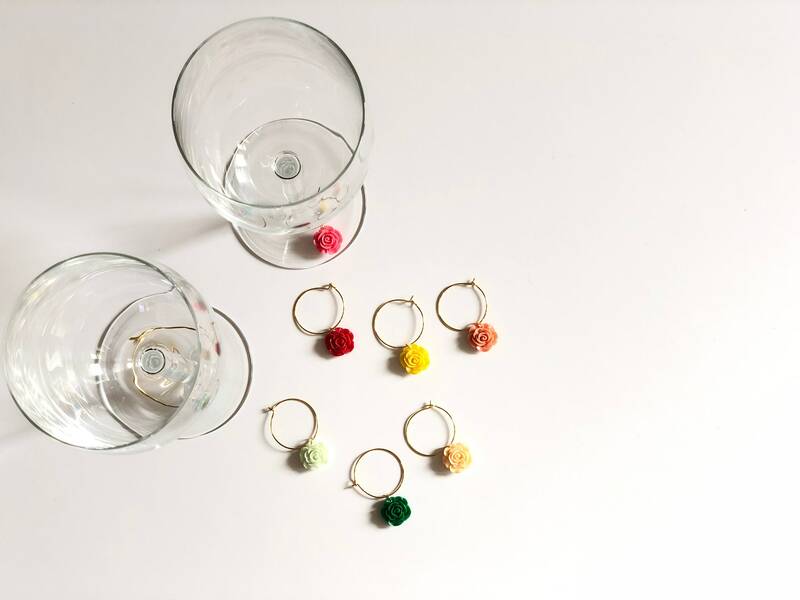 Each guest will know which glass is theirs with this adorable way of distinguishing each one. 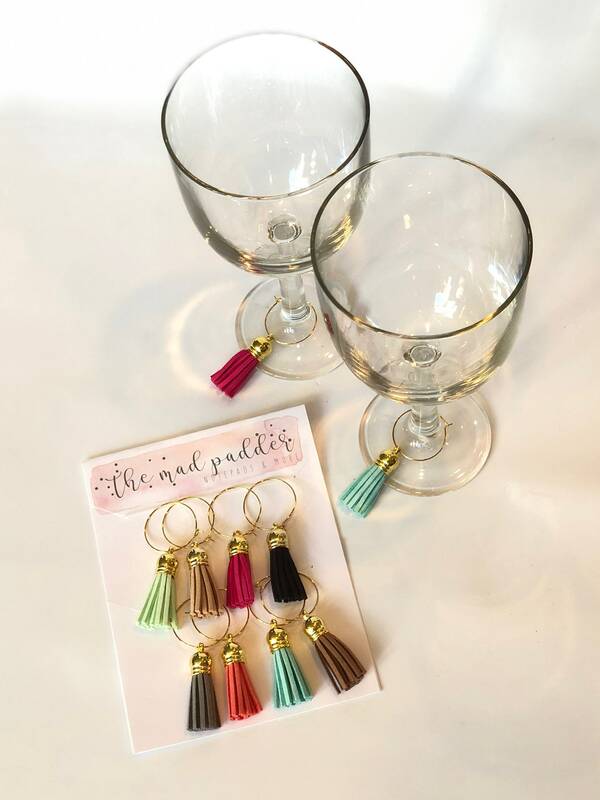 Choose from a set of eight faux leather tassels in colors of mint, khaki, hot pink, black, grey, coral, turquoise, & brown OR a set of eight pom pom tassels in colors of orange, purple, grey, navy, dark grey, yellow, maroon, & dusty pink. 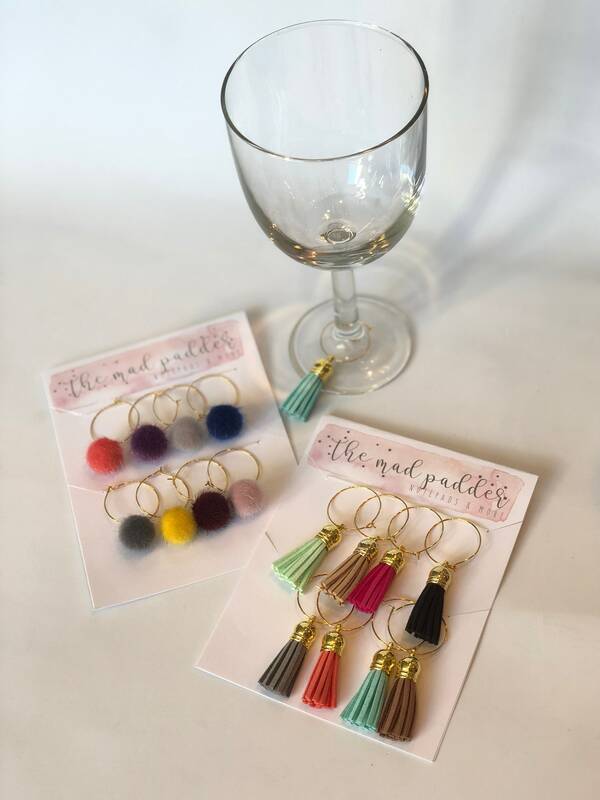 Your order will be packaged together on a card inside a cellophane bag...perfect for gift giving!